Impress the entire family with this stunning fully renovated, four-bedroom home, built on an 807 sqm allotment. Immaculately presented interiorly and externally, ideal for a large family. With two separate living areas, DLUG and plenty of off-street parking along with alfresco and two additional outdoor entertaining areas it will not disappoint. The kitchen is fully renovated and equipped with stone bench tops, soft close cabinetry, electric oven with gas cook top, stainless steel dishwasher and fitted microwave. The four bedrooms are spacious with BIR's; the master bedroom incorporates a large Walk in robe with generous en suite including a spa bath, shower, vanity and toilet. The main living area is expansive and open plan, incorporating kitchen, meals, dining and lounge area with the ambience of a cosy wood fire. 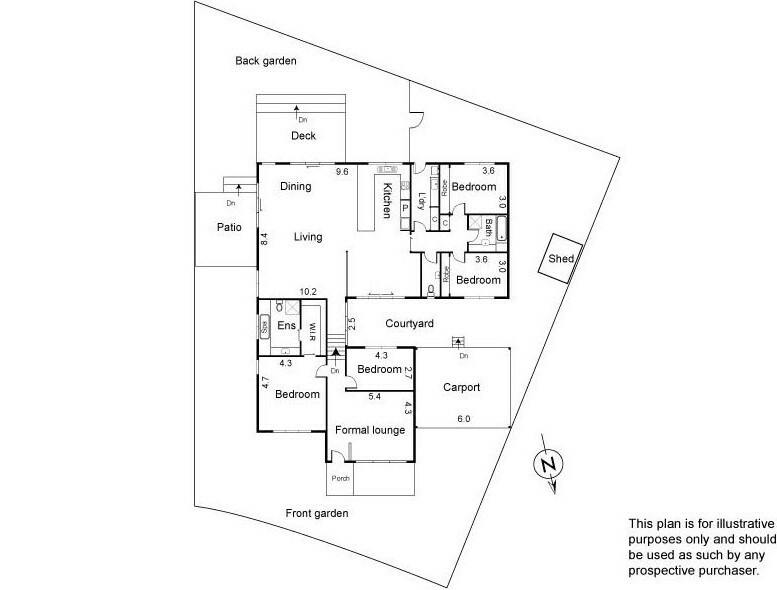 The second living area is situated at the front of the home ideal for separate entertaining. Entertaining and outdoor living is catered for well, with an under roof alfresco incorporating an outdoor kitchen and two additional court yards overlooking the beautifully landscaped yard with outdoor lighting, decking and Castlemaine rock features throughout. Other features include: evaporative cooling, ducted heating, wood fire, drying cupboard, alarm system, Utility area with shed ( power and concrete floor) , LED lighting throughout the house, solid timber floorboards, spa bath, DLUG, off street parking and much more.